Associate Professor of Church History and Anabaptist/Mennonite Studies at the Mennonite Brethren Biblical Seminary campus (part of a seminary consortium called Associated Canadian Theological Schools (Langley, BC)). Bruce L. Guenther is Associate Professor of Church History and Anabaptist/Mennonite Studies at the Mennonite Brethren Biblical Seminary campus, which is part of a seminary consortium called Associated Canadian Theological Schools (Langley, BC). His Ph.D. dissertation featured a history of the Bible school movement in western Canada, and his on-going research interests include the history of evangelical Protestant education in Canada. Guenther, Bruce. 2004. “Slithering Down the Plank of Intellectualism? The Canadian Conference of Christian Educators and the Impulse towards Accreditation among Canadian Bible Schools During the 1960s”. 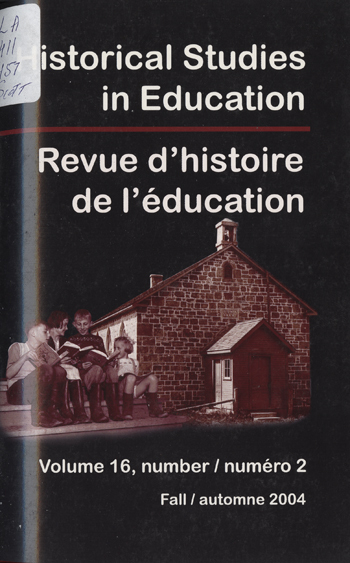 Historical Studies in Education / Revue D’histoire De L’éducation 16 (2), 197-228. https://historicalstudiesineducation.ca/index.php/edu_hse-rhe/article/view/331. The scholarly analysis of accreditation among Bible schools and colleges remains a significant historiographical lacuna. This article examines the emerging impulse towards accreditation within the Bible school movement in western Canada during the turbulent 1960s, a critical decade in the development of evangelical theological education in Canada. The central focus is the origin, activities, and influence of a conference known as the Canadian Conference of Christian Educators (CCCE), an annual gathering of evangelical educators that began meeting in 1960. The prominent presence of personnel from the newly formed Accrediting Association of Bible Colleges (AABC), who were keenly interested in extending their organization into a region with the largest concentration of Bible schools in the world, raised expectations among Canadian evangelical educators about the possibility of a new level of respectability and recognition for their schools among public universities in Canada. Bible college educators in Canada soon discovered that AABC accreditation did not mean the same thing within the post-secondary educational landscape of Canada as it did in the United States. This resulted in an ambivalent relationship between AABC and the emerging Bible colleges in Canada, and prompted some Canadian leaders to investigate other avenues towards academic recognition. Illustrating the polarized response towards accreditation within the Bible school/college movement are two brief institutional studies of Mennonite Brethren Bible College in Winnipeg, Manitoba, and Prairie Bible Institute in Three Hills, Alberta. The differences reflect the variegated character of an evolving evangelicalism in western Canada. By the end of the 1960s, the significant American influence within the CCCE had been displaced by Canadian initiative and leadership, thus signalling the beginning of a new chapter in evangelical higher education in Canada.